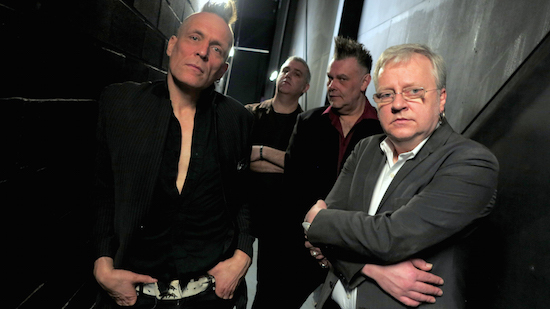 Punk iconoclasts THE MEMBRANES have announced a one-day minifest in Manchester this spring. Following the success of last year’s The Membranes & Friends event, the band have decided to make it an annual occurrence. The Membranes & Friends II will take place at Manchester’s historic Ritz dancehall on Saturday 5 May. The band will once again be joined by the 20-voice BIMM Choir and will de debuting songs from their forthcoming double album due in September. Other acts on the bill include THE LOVELY EGGS, EVIL BLIZZARD, THE CRAVATS, ONE SIDED HORSE and SINK YA TEETH, with several more acts to be announced. Tickets for the event priced £21.50 are available here, with 50p from each ticket going to the Ritz Restoration Fund. ‹ SUZIE STAPLETON VIDEO PREMIERE!